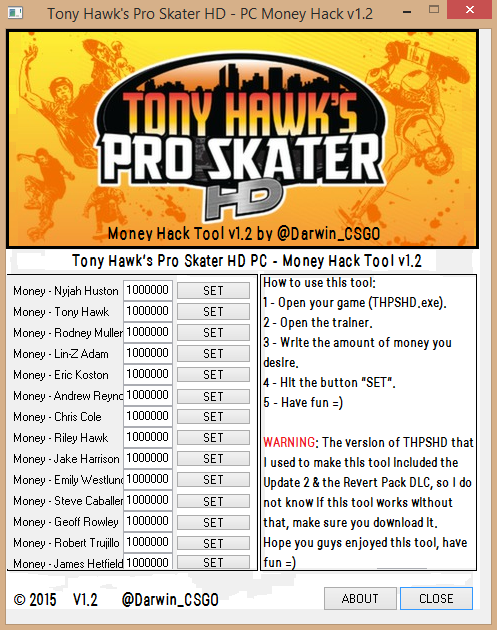 So, I made this basic tool for those who want to have lots of money on the PC version of Tony Hawk's Pro Skater HD. - Open up your THPSHD. - Open up the trainer. - Click the button "SET". Everything must be done with the game opened otherwise the tool won't work.